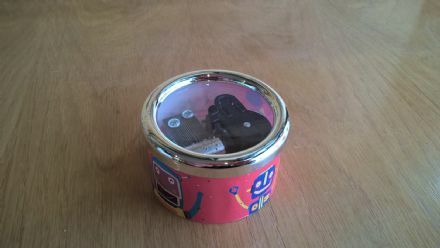 An unusual gift. 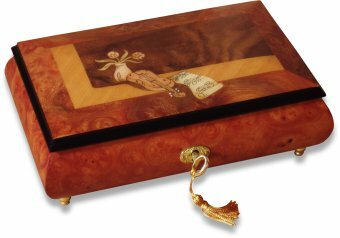 A hand cranked musical movement fitted into a mini box. 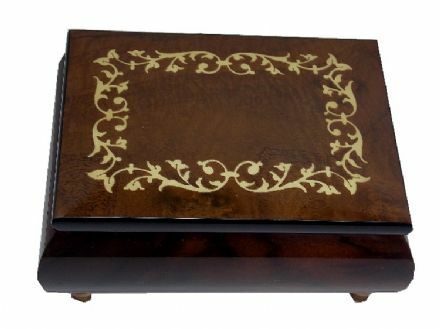 A beautiful antique finish musical photo frame jewellery box. 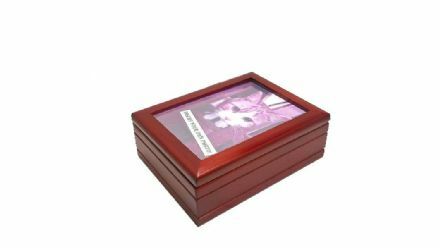 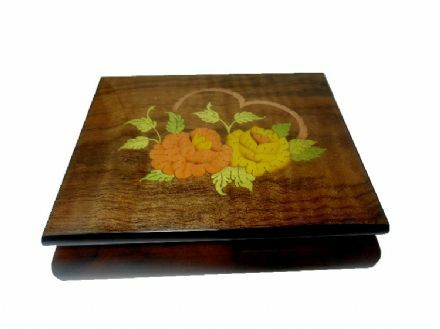 A beautiful antique finish photo frame musical jewellery box. 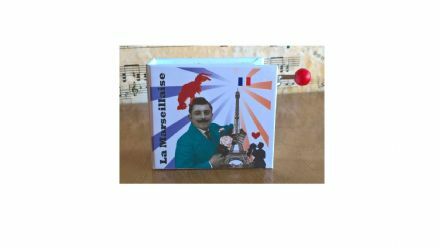 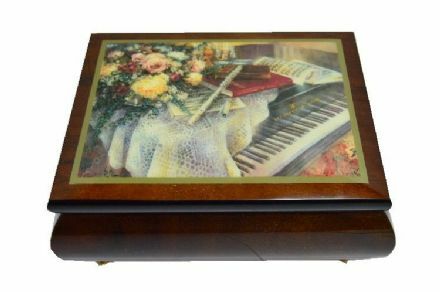 An unusual photo frame music box. 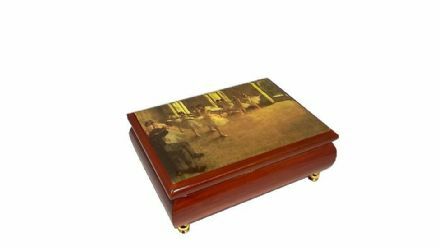 A beautiful wooden musical jewellery box with ballet class print design on the lid. 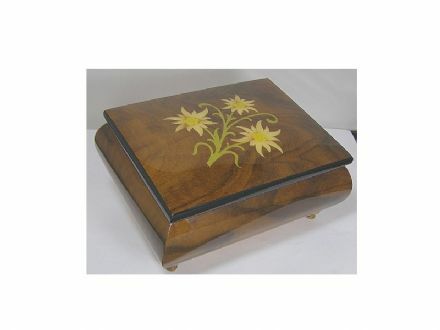 A beautiful musical jewellery box finished in walnut veneer. 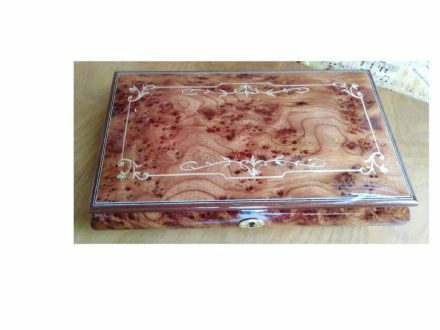 A beautiful musical jewellery box finished in elm veneer. 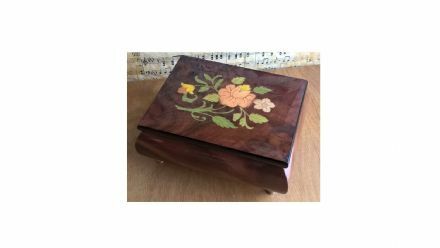 A beautiful musical jewellery box finished in rose veneer. 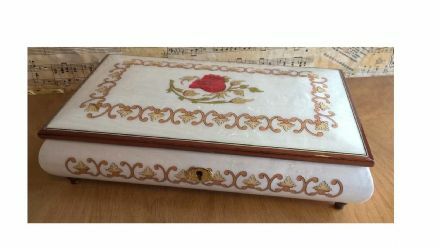 A beautiful musical jewellery box. 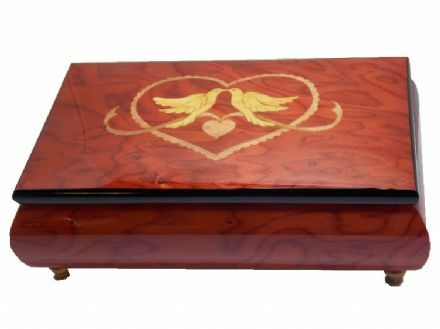 A beautiful 18 note musical jewellery box. 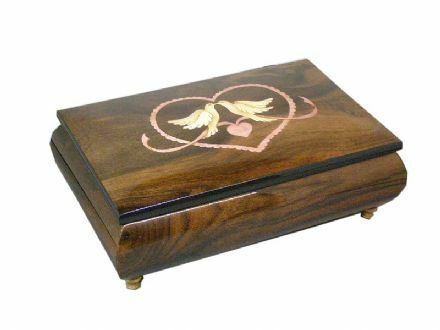 A beautiful musical jewellery box finished in walnut veneer with beautiful picture. 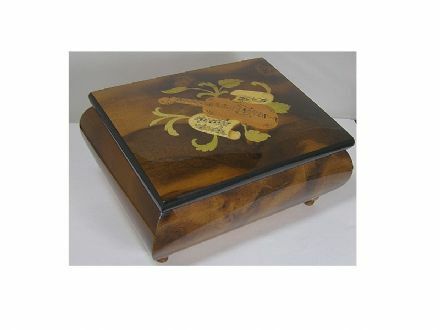 A beautiful musical jewellery box finished in a lovely green veneer. 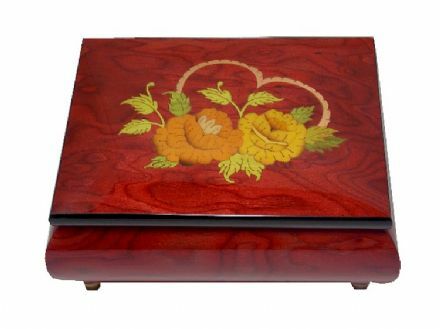 A beautiful musical jewellery box finished in a rose red veneer. 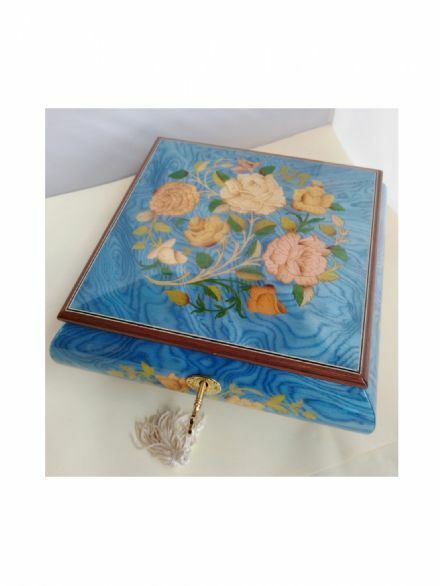 A beautiful musical jewellery box finished in a blue veneer. 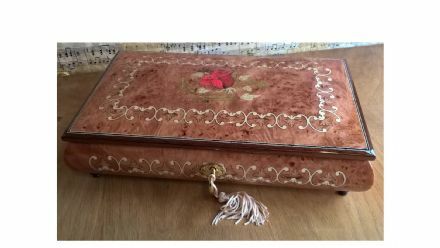 Beautiful Elegantly Decorated Swiss Musical Box. 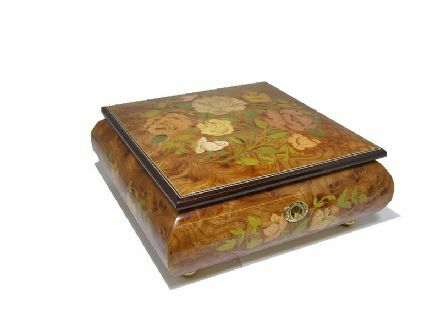 A beautiful jewellery box from the Swiss maker Reuge. 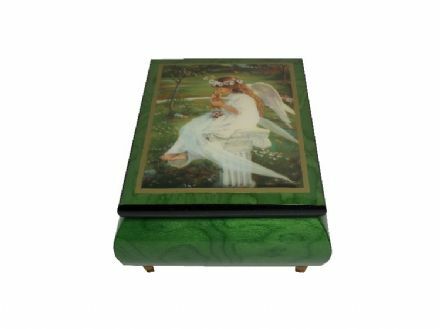 A beautiful white jewellery box with ballerina. 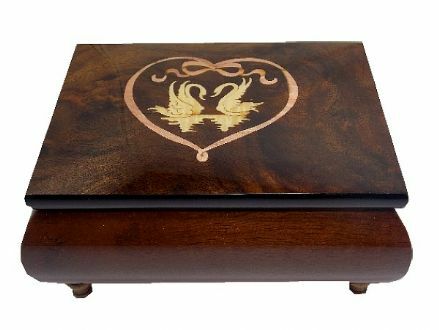 A beautiful white ballerina musical jewellery box with an inlay design of two butterflies. 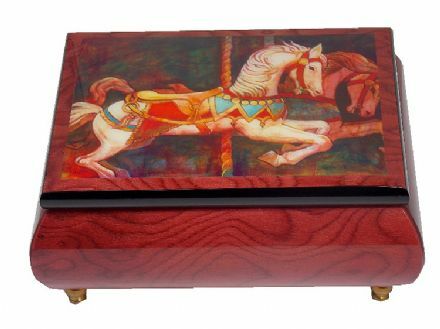 A beautiful elm jewellery box with ballerina. 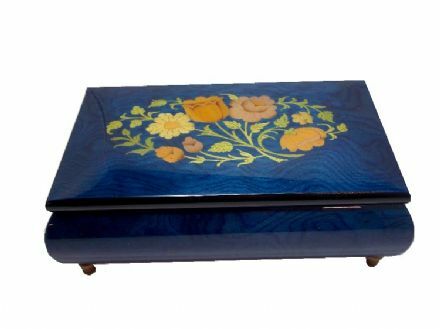 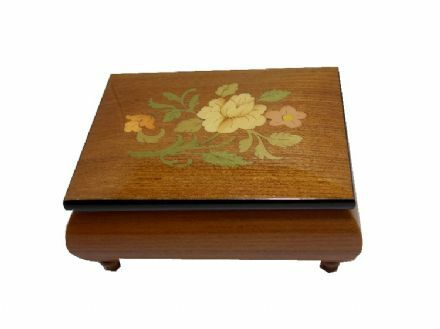 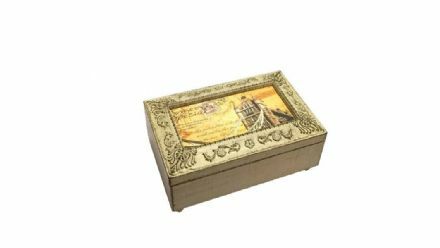 Above is our selection of jewellery boxes, Jobin musical jewelry boxes, wooden jewellery boxes, inlaid music boxes, musical jewellery boxes from Reuge, and a wide range of wooden music boxes for jewellery. 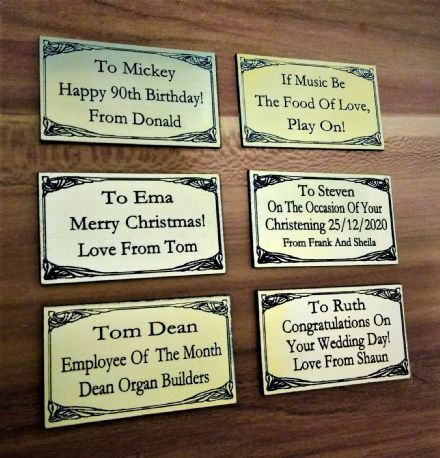 The perfect musical gift for any special occasion. 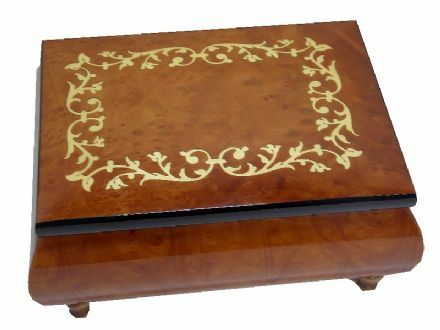 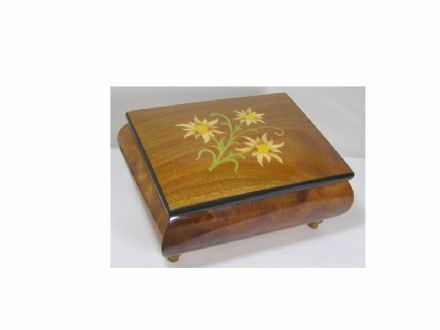 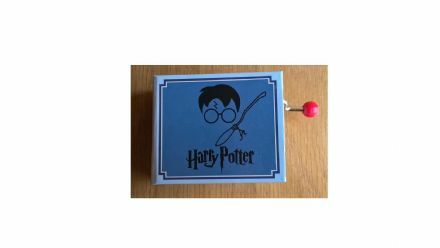 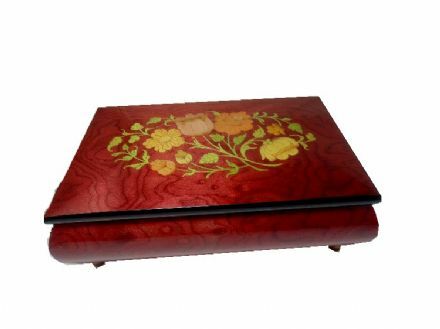 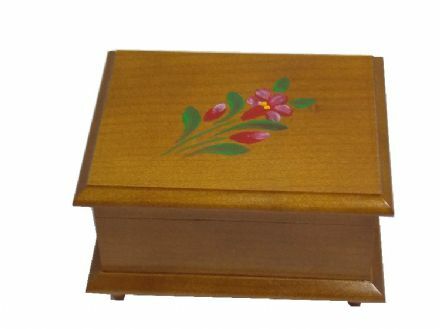 We are sure you will find a suitable traditional musical jewellery box here.